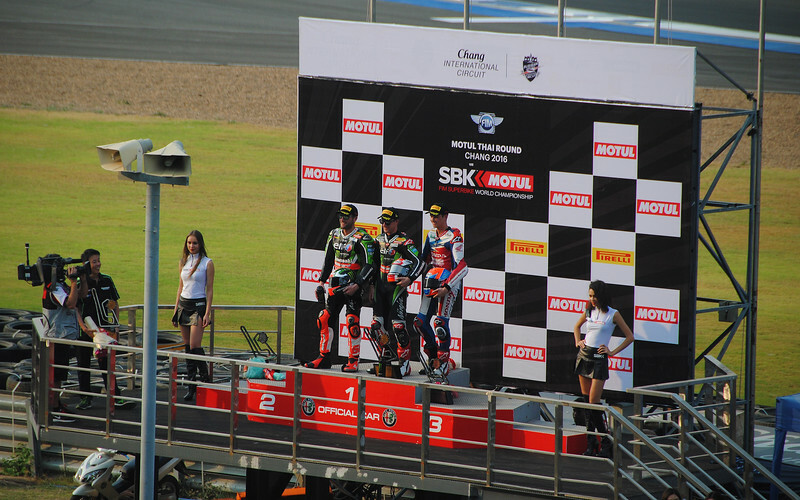 Spoiler warning: Results of the 2016 World Superbike Race in Thailand are discussed in this post! 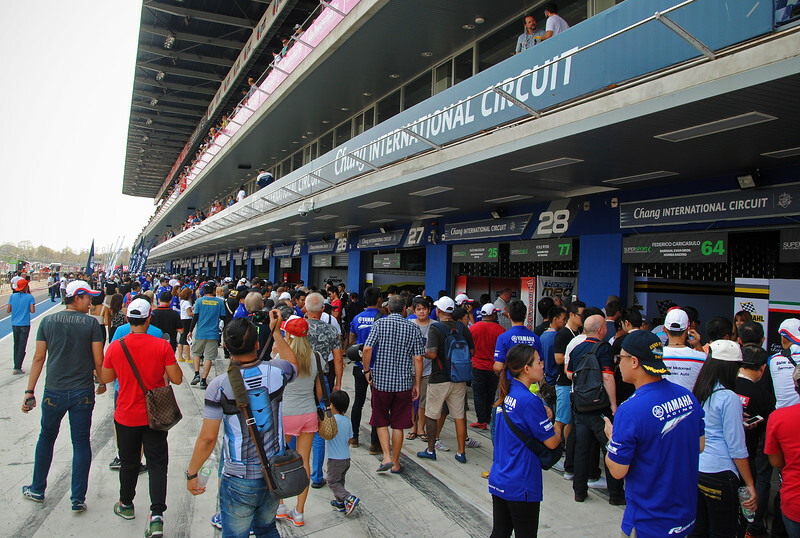 We're spending the weekend at the Chang International Circuit to watch some motorcycle racing! 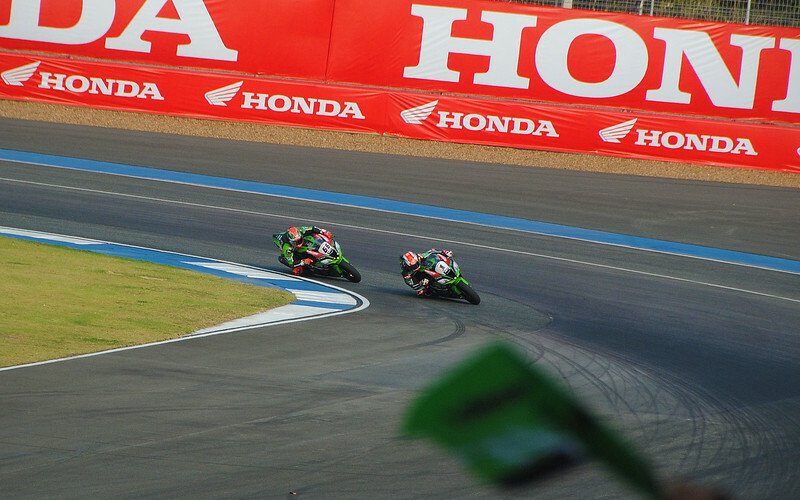 Why do we enjoy watching motorcycle racing so much? Neda and I used to do a lot of track days on our sportbikes back in Canada, so a part of us can imagine what it's like to actually be out there, twisting the throttle Wide F(ull) Open and leaning the bikes at those crazy, insane angles. 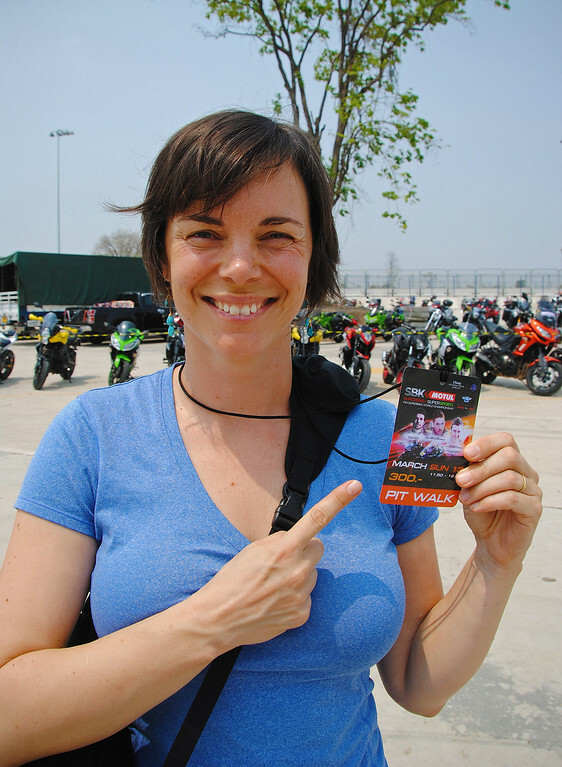 But for me, the real draw of motorcycle racing are the personalities out on the track, watching them pit themselves in head to head combat with each other - two-wheeled gladiators, clashing fairings, risking life and limb for personal glory, sponsorship dollars and the promise of a continued ride on a competitive bike. You know, racing is kind of like sales. Before turning nomadic, I used to work in a sales office and the mentality between racers and sales people are very similar: competition, pride, ego, jealousy, survival are all prevailing traits. 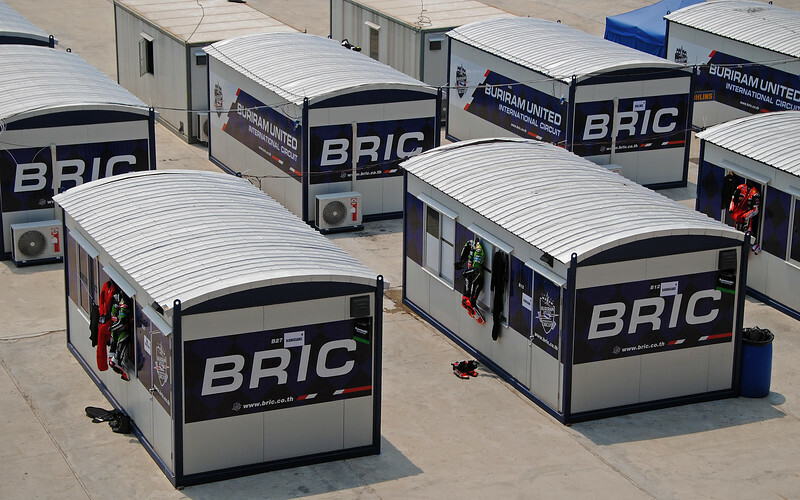 So I'll introduce to you a few of the more interesting people in the race paddock and show how they're exactly like Four People You'll Meet in a Sales Office. Riding to the track. We're only staying a few kms away, but still glad we have the bikes to go back and forth. It's HOT!!! 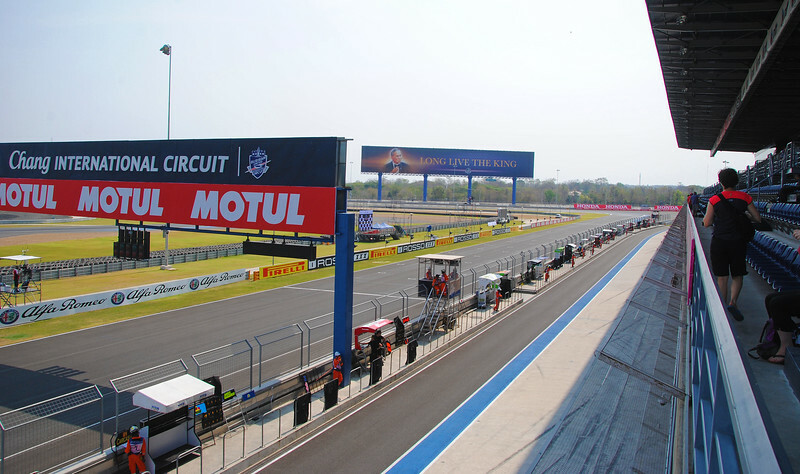 The format for World Superbikes (WSBK) has changed this year. There's Free Practice on Friday, Qualifying on Saturday morning, Race 1 on Saturday afternoon and Race 2 on Sunday afternoon. Plus all the lower-tier race series in between. 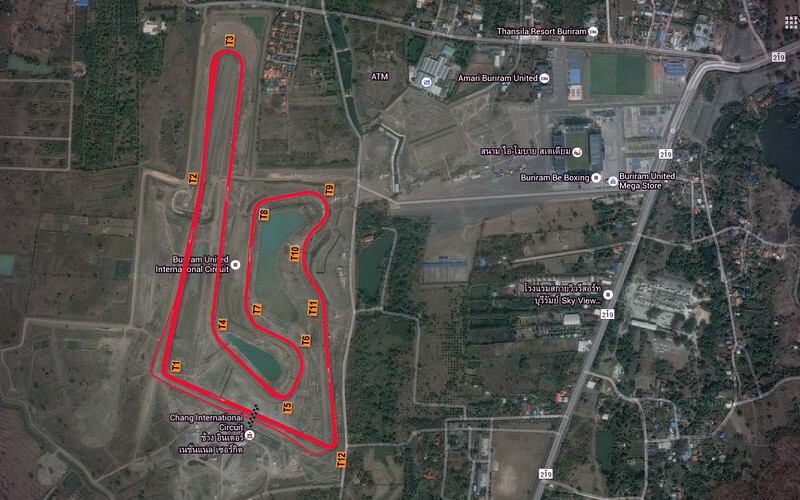 A whole weekend's worth of motorsports activities! In a sport littered with Europeans, especially Italians and Spaniards, it's unusual to see an American succeed at the highest levels. If I were to describe Nicky Hayden, the "Kentucky Kid", in one word, it would be "polite". When he gives interviews and talks about racing, the sport, his team and the fans, you can't help but think, "Wow, his parents really raised him right". 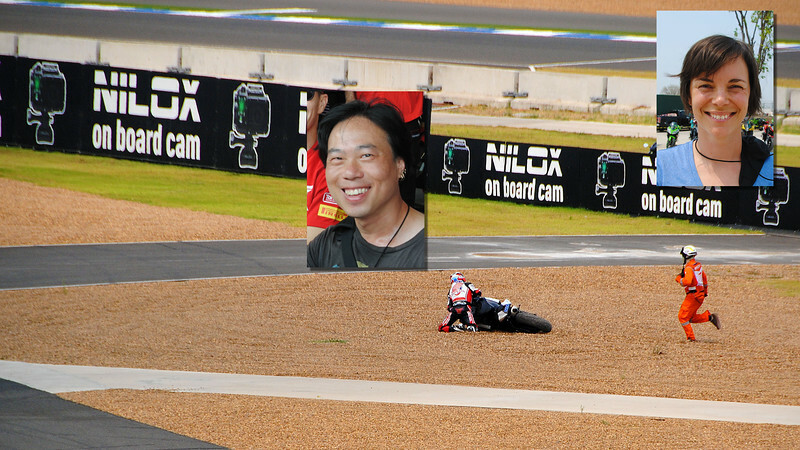 I've been a huge fan of his since watching him win the MotoGP World Championship back in 2006. In the modern MotoGP era, spanning the last 15 years, he is only one of four racers to take away a world championship from The GOAT (Greatest Of All Time), Valentino Rossi. But that was his most successful year, and he hasn't won a race since 2006. 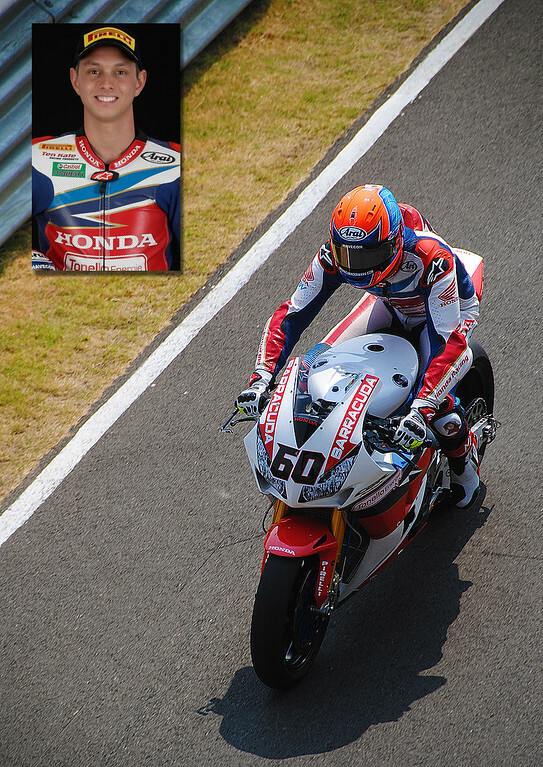 This is his first year in WSBK, having lost his ride in MotoGP. In the sales office, Nicky is like the salesperson who, despite being Mr Niceguy, had a blow-out year a few years ago, the best that anyone has ever seen. It surprised everyone because he just doesn't seem to have that killer instinct that a lot of the top salesguys exude. And since he's so nice, he never brings it up or brags about it. But his legend precedes him. 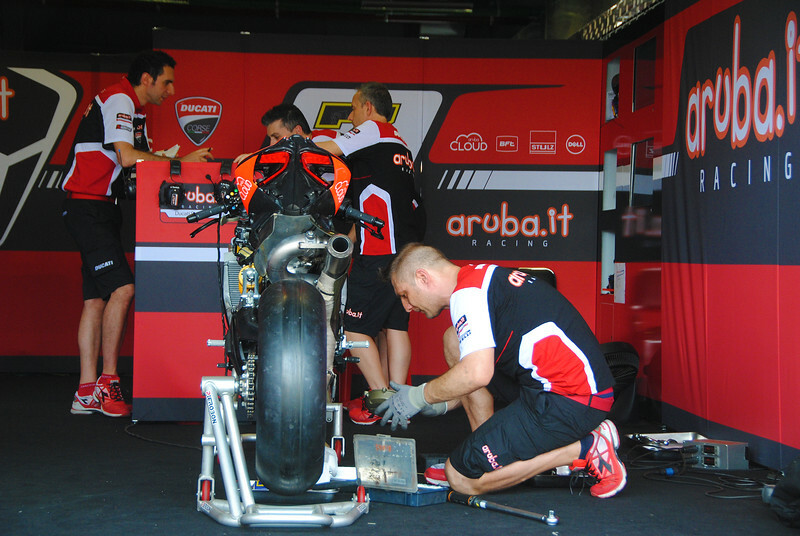 Despite this being his first year in WSBK, he is one of the most popular riders in the paddock. 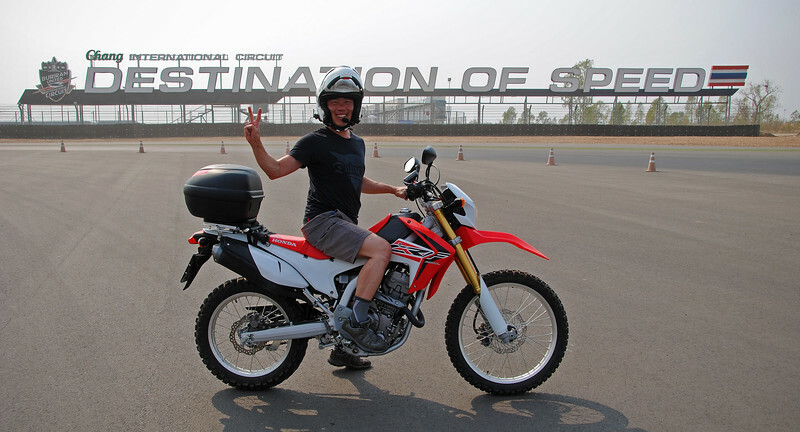 Few MotoGP champions walk among us and fluke or not, Nicky Hayden is one of them. 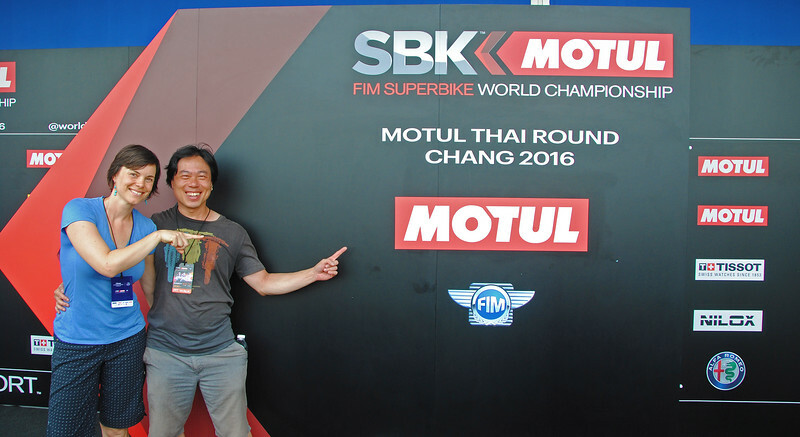 Can he reclaim former glories and win again in WSBK? 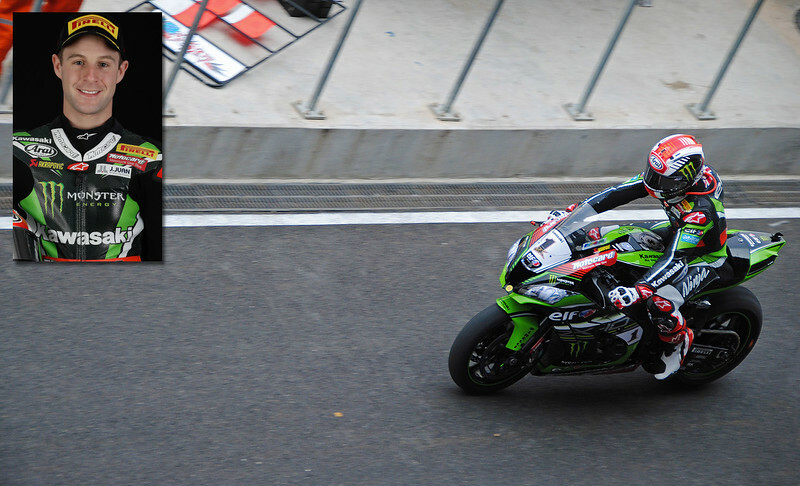 Will he be both a MotoGP *and* World Superbike Champion? I can't wait to find out!!! On the opposite end of the spectrum, but on the same team is Michael van der Mark. Last year, Neda and I cheered on this rookie sensation and watched him take his first podium in his home race in Assen, Netherlands. Jonathan Rae is the guy in the sales office that came out of nowhere. For years he did good numbers, but his name was never at the top of the list. Then he got moved to a booming territory and given good leads and now he's the number one salesguy by a long shot. Nobody even came close last year. At first, everyone in the office scratched their head and asked themselves, "How did that happen?" But now they know: he was always an excellent salesguy, he was just given a really crappy patch and had poor support. Speaking with a bit of an Irish lilt, he comes across in interviews as a really nice and humble guy. The kind of guy who you feel good about him winning. My second-favorite rider in the paddock. This year, JRay is facing a bit of a challenge. There's an upturn in the economy and the rest of the guys in the office now also have good territories and are getting excellent support. Everyone is a lot more competitive and they're all gunning for him. Can he defend his spot as #1 salesguy in the office? 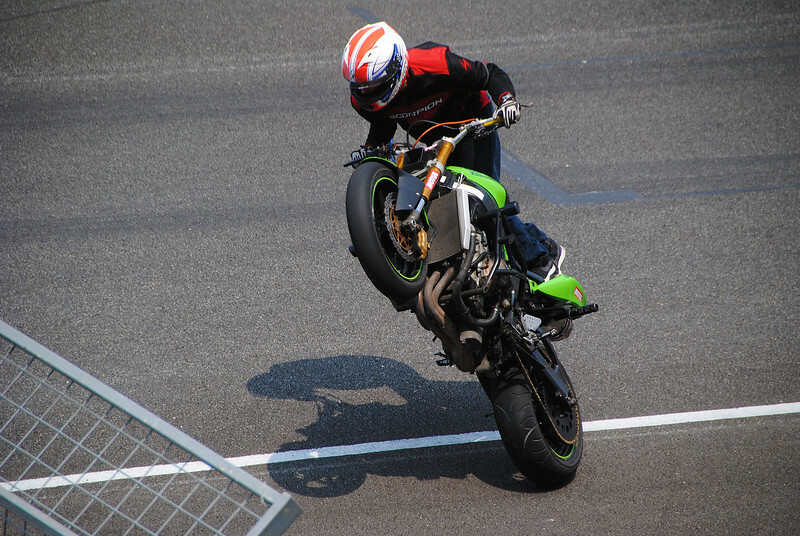 In the office, Tom Sykes is exactly what you think of when you envision a typical sales guy. An Ends-Justify-The-Means guy, an intense focus with a Machiavellian streak in his approach, he doesn't seem fazed that his team mate is more popular than he is, he's just pissed off that he's being beaten by him. Tom was the #1 sales guy in the office back a couple of years ago when Jonathan had the crappy territory and was doing poor numbers. But now that they're on the same team, with the same patch and the same support, it's obvious to everyone who the better salesguy is. Tom is no slouch though. He is still one of the best in closing quick deals (dropping back into racing terms - his single-lap qualifying times are blisteringly fast, the best on the grid), but his focus is too much on the short-term gain. He lacks the planning for the long game and that's where he's losing out to his team mate. There is no love lost between the two of them, and the rivalry between the two make for high drama! This year, Tom seems to have matured, having adapted his approach and focusing more on the larger picture in dealing with his fellow salesguys and his team mate, in particular. Will it work out for him? 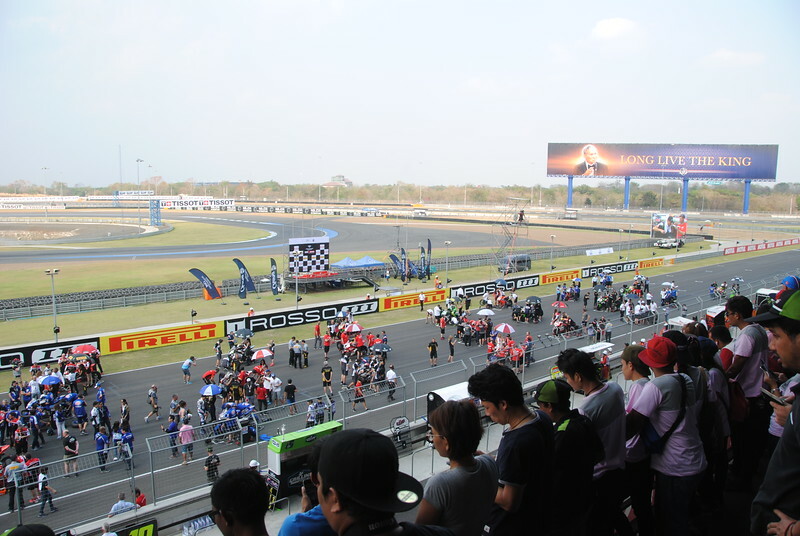 Unlike Formula 1, there is no ship-to-shore communications between the teams and the riders. Pit boards are updated every lap to convey information. 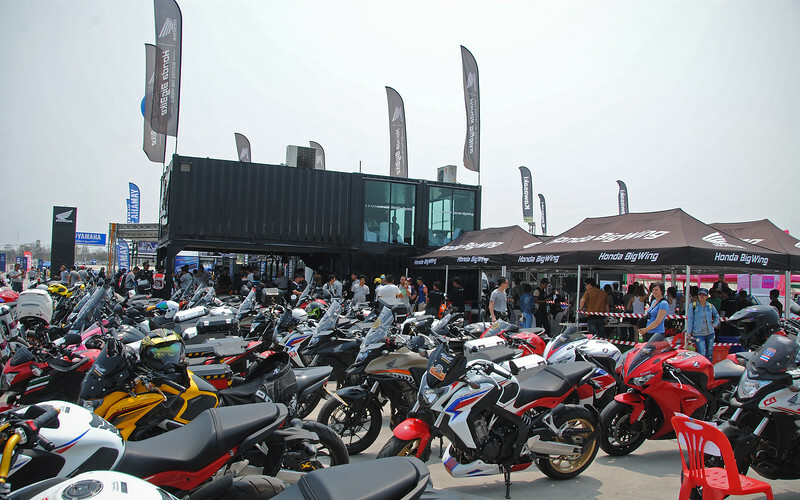 The next day, we show up at Chang International Circuit and the place is hopping! Whereas we were one of the few bikes that showed up in the parking lot, now we have to thread our way past motorcycles, big and small, to find a spot to park. Wow! 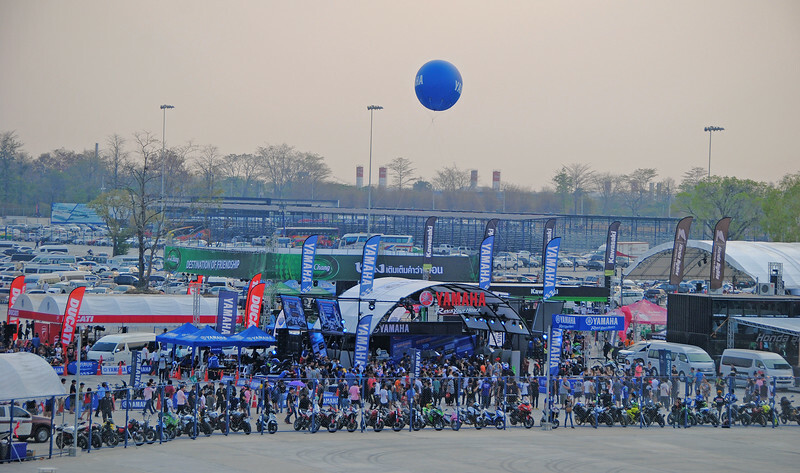 Motorcycle racing is popular in Thailand! 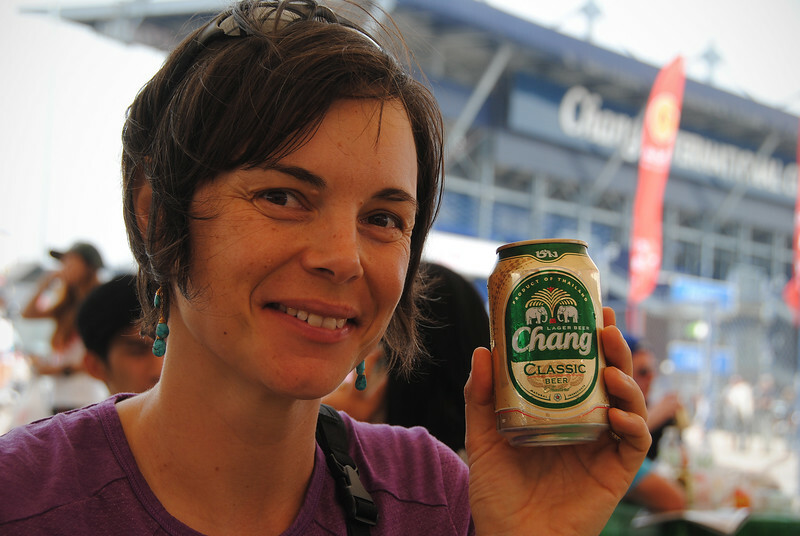 To beat the heat, Neda buys a beer from the company sponsoring the circuit. Because she's so thirsty, she chugs the whole thing! Neda looks over the Honda pavilion. Now that we're Big Red riders, we could have totally parked here if we had known! 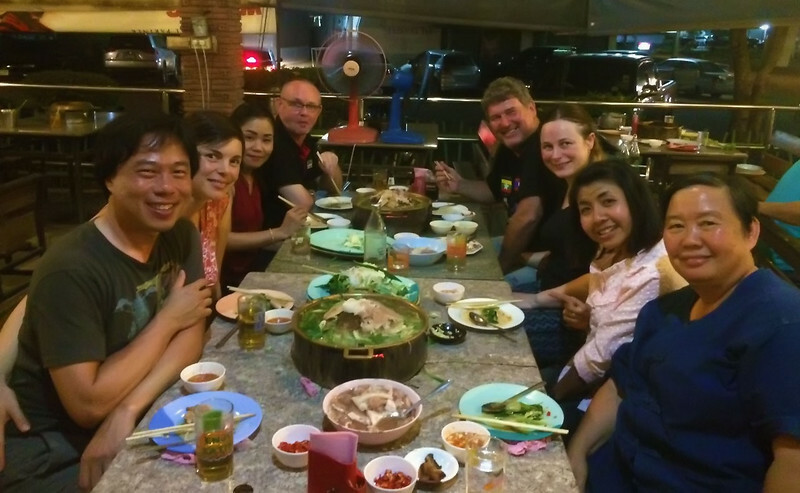 We are meeting up with a couple more motorcycle travelers today, Sheldon and Eva from Australia and Poland, as well as Wayne and Ohmmy from England and Thailand are here. We grab our seats beside them and start talking bikes. Here's a picture of us! We're in the bottom right hand corner! 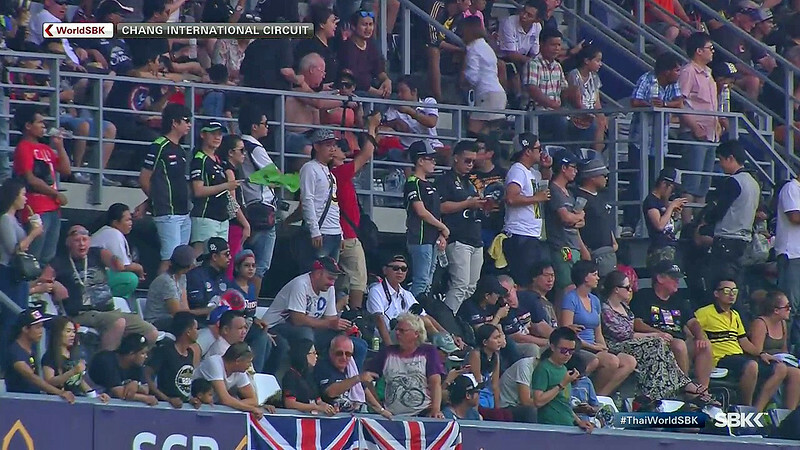 Hey there's a Malaysian rider in the Supersport race. This is Zulfahmi Khairuddin. 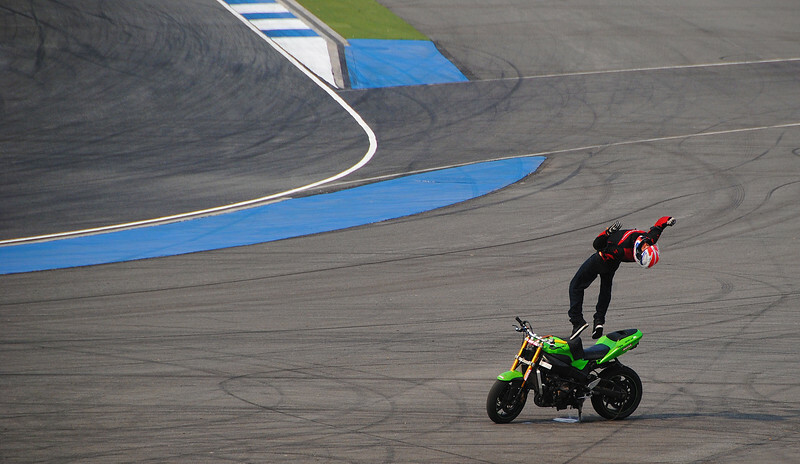 He wrings his bike so hard, in the end it's leaking fluid from the bottom. Sheldon scored us some pit passes! I've always been a bigger fan of the Ducati Superbikes over their MotoGP counterparts. These Panigales look and sound sweet! 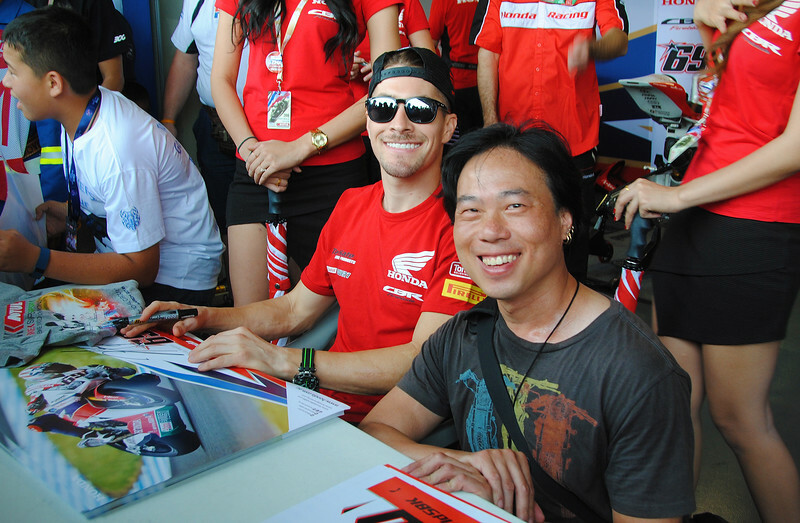 Nicky Hayden was in the pits signing autographs! I knew we weren't going to be carrying any signed posters with us all over the world, so I just asked for a quick picture. COOL! Unfortunately a few minutes before, Michael van der Mark was also at the same table. But as soon as Nicky came out, everyone started pushing and jostling to get a picture with him, and poor Michael was forced out of the table by Hayden fans. 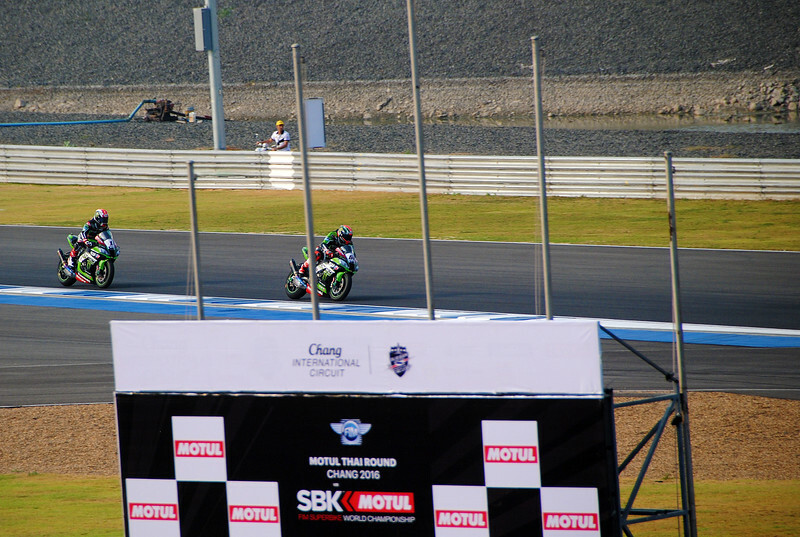 The red lights go out, and twenty-five superbikes jump off the line and hurtle towards the first turn! It sounds like a billion bees buzzing in the air. This is how it's played out the whole of last year. Sykes in front early, JRay biding his time until few laps before the end where he pounces on and takes over to win the race. Will this time be different? Speaking of which, I look over towards Neda but she's nowhere to be found. A few laps later, she returns to her seat, a bit paler in the face. It turns out that she drunk that Chang beer a bit too fast earlier and felt nauseous because of it. She almost threw up the washroom... But enough about Neda... Back to the race! And good for Michael van der Mark, he came third! 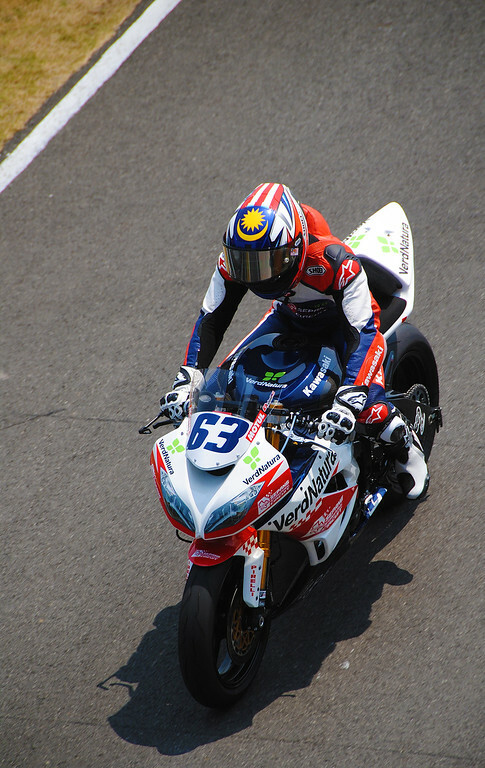 Our fourth salesguy in the office, Nicky Hayden, finished in 8th. But this is not bad considering it's his second weekend on this new and unfamiliar bike. I think he's going to go on to do good things later on this season. 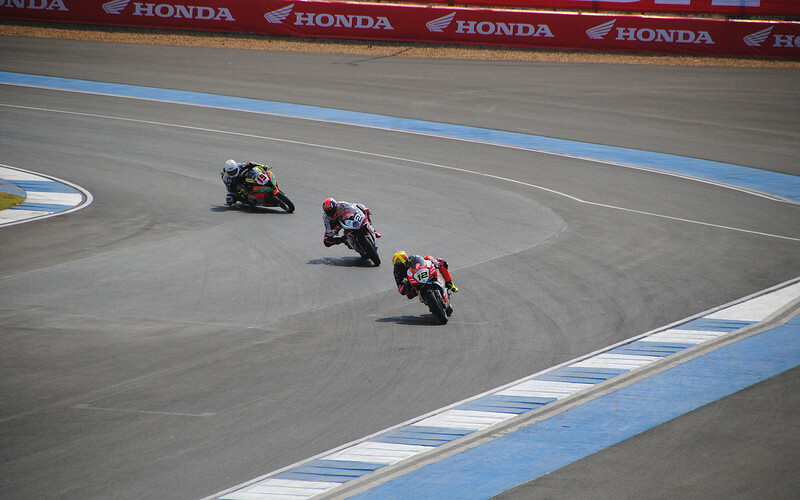 So awesome getting to see some live motorcycle racing again!